I spent this past weekend at my in-laws lake cabin unplugged from the internet and cell. I happened to be reading the 4 Hour Work Week and reading short passages to my skeptical father in law. My father in law is a retired science teacher so I didn't really expect him to fully understand. His argument was that back in his day he worked 50-60 hour weeks with his dad. It's not that we don't have those weeks; it's just that it's not always necessary to "work for the sake of working" as author Tim Ferriss so brilliantly put it in his book. 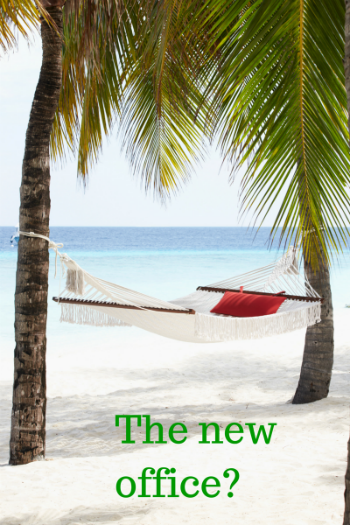 Here are some of my thoughts around how the new small business differs from the old. The way the new small business operates has changed. It used to be get up, commute to work, wait for things to happen, and go home at 5. In the current environment we sometimes work odd hours to accommodate life events (more on that in the next section). We sometimes do not go to the physical office for one reason or another (we are sick, a sick child, we feel we work more efficiently at home). We harness technology to make all these things happen. I would rather an employee get some work done at home to take care of a sick child than nothing at all. Additionally technology has made our jobs more efficient, which gives us more bandwidth to take on additional work or let's be honest to enjoy life. I can't speak for the past but I feel that people were more motivated by money in the old small business. Today's workforce presents us with a new challenge in that for many employees the main motivator is not necessarily money. Today's employees find different motivating factors such as: flexible schedule, casual dress code, flexibility in vacation (I've seen unlimited offered), and other oddities. I even had an employee tell me that what he wanted was to go skiing in Japan for two weeks. Think I could have ever offered that without asking? I believe the main motivating factor for the new workforce is recognition. A solid thank you goes a long way. When someone is performing well and you recognize them that carries a lot of weight for the new workforce. When trying to motivate someone don't necessarily think it is as simple as throwing a wad of cash at them. In his book Ferriss notes the difference between being efficient and being effective. Let's go back to my father in laws comment about working 50-60 hour weeks. What does it matter if you are not being effective? I have seen business owners think the answer to their problems is to just throw more of their time at the business. The problem is they are throwing more time into tasks they are not very good at, or tasks they should not even consider doing themselves. If I only work 25 hours a week but am laser focused on what I am doing and am incredibly effective, what does it matter how many hours I put in? I don't care about the number of hours an employee works; I care about results. The major thing that frustrated me about working for a large corporation was how inefficient it was. It didn't matter what I got done as long as I was there for 8 hours. So where is the motivation? If someone produces the work that is expected of them in 2 hours as opposed to 8 shouldn't they be recognized? Heck shouldn't they be rewarded? Ferriss's ideas of mini-retirements really spoke to me. The old way of the worker was to save enough money to retire (and it still is for many). The problem was they didn't know what they wanted to do when they did retire. Or they never saved enough to retire. Many find that they can't fully retire, that they actually like working. Another possibility is they were not in the physical shape to do anything when they could retire. The new workforce wants semi-retirements throughout their career and they are willing to work for it. I have noticed that if you make employee's dreams happen they are grateful and willing to work for it. What exactly does that mean? It means when some people go on vacation they don't fully check out. They schedule a few days to work if it means 10 days in Hawaii. They are willing to check email if they can be with their family on the coast of Maine. Some people will tell you that this defeats the purpose of a vacation. A vacation is supposed to be a time to unplug and disconnect from work. I can agree with that to a certain extent and that does happen. However, I will take more semi-retirements over the standard 2-3 weeks off a year any time. The point is things have changed and will always be changing. The new business isn't better than the old way, it's just different. I will tell you that my past two and a half weeks have been amazing all while the business kept ticking along per normal. What changes have you noticed in the way business is done?